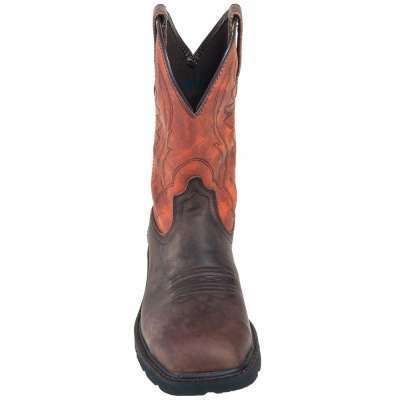 Ariat 10015191 Groundbreaker 10-Inch Steel Toe EH Western Boots. 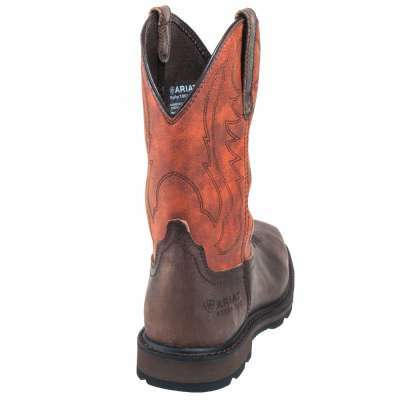 They look like classic cowboy boots, but these Ariat boots are made for work. 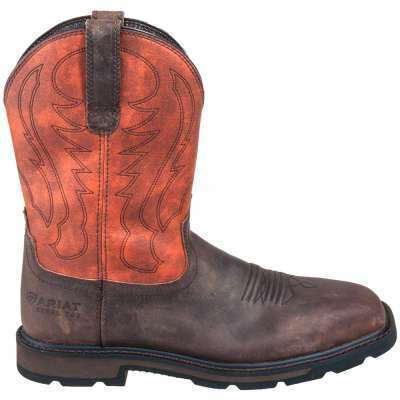 The two-tone design is built with 10-inch uppers and two shades of flexible leather. The brown leather and the orange leather both clean up easily. The leather is naturally resilient, so it can take a beating and keep on performing. 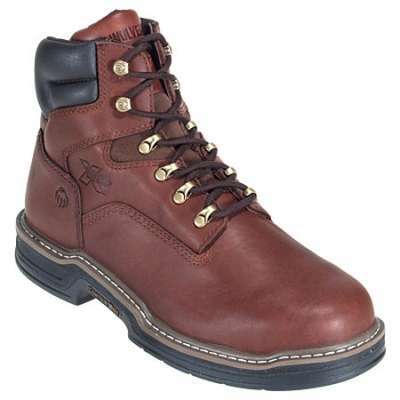 Natural full-grain leather was used to create the brown foot of these steel toe boots. 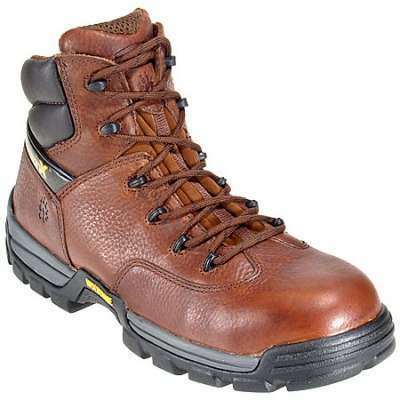 The shafts are made with tough Clarino, a hard-wearing synthetic leather. The lining inside these boots is mesh. Mesh is made with ventilation holes that release heat so your feet stay cooler and feel more comfortable. 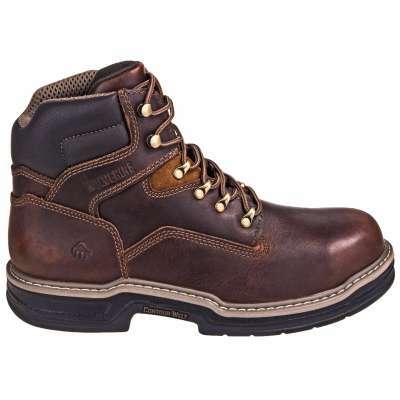 And since your feet really need to feel even more comfortable than that, these safety toe boots are made with Ariat’s 4LR technology. That’s four layers of cushioning comfort and support. The lightweight shanks are integrated right into the 4LR technology to keep arches lifted and prevent muscle pain in your feet and legs. The two-row stitch pattern adds visible styling. The soles of these slip-resistant boots are finished with 90-degree heels that give you lift. This extra height helps you maintain your grip on ladders, a safety feature that definitely can’t hurt. 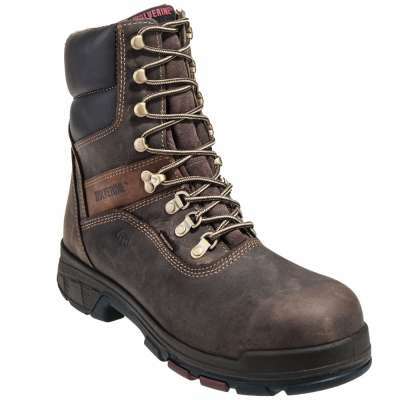 The rugged soles are also tested to meet EH standards. Men’s footwear that meets electrical hazard requirements soaks up dangerous electrical shock so that your body doesn’t have to. 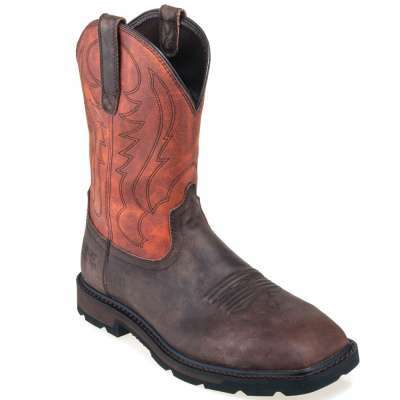 A wide, square profile creates a classic Western look, but it also gives your toes plenty of moving room when you wear these brown boots. 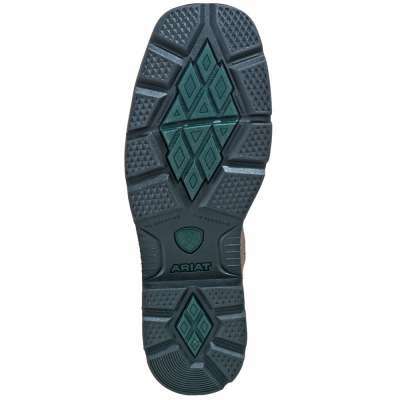 The steel toe caps are tested to meet ASTM F2413-11 M I/75 C/75 safety standards, so you know they’re ready to work.